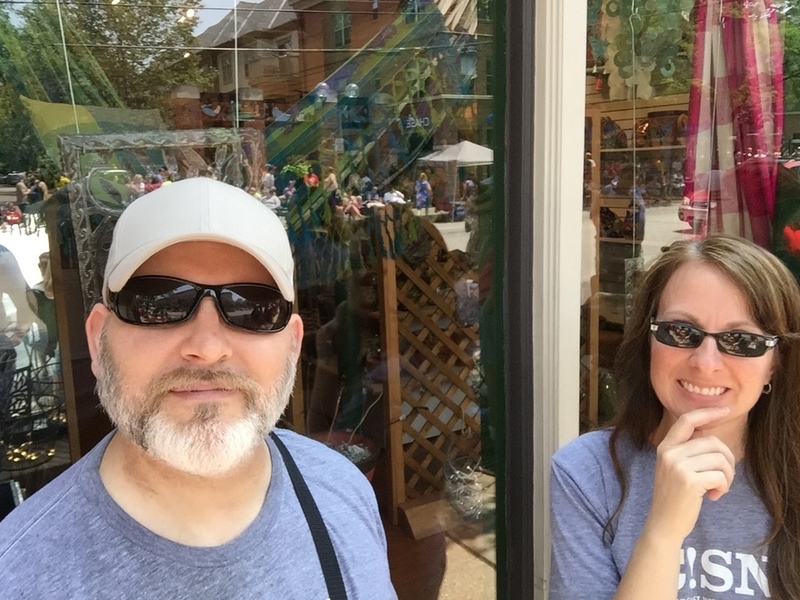 C!SN 7.5.15: Burke and Amy chat about Red, White & BOOM, Land-Grant Brewing Co., Flat Top Pizza Co., 32nd Annual Doo Dah Parade, Westerville's fireworks, and more! Friday was Red, White & BOOM, which is Columbus's big Independence Day celebration! Burke and I headed to downtown early, so early our normal parking lot was not even open yet! No worries, we traveled into Franklinton and found a super place. Our goal was to make it to the Long Street Stage to listen to two local bands, both of which have our high school classmates: The Pretty Filth and 4 Finger Shot. 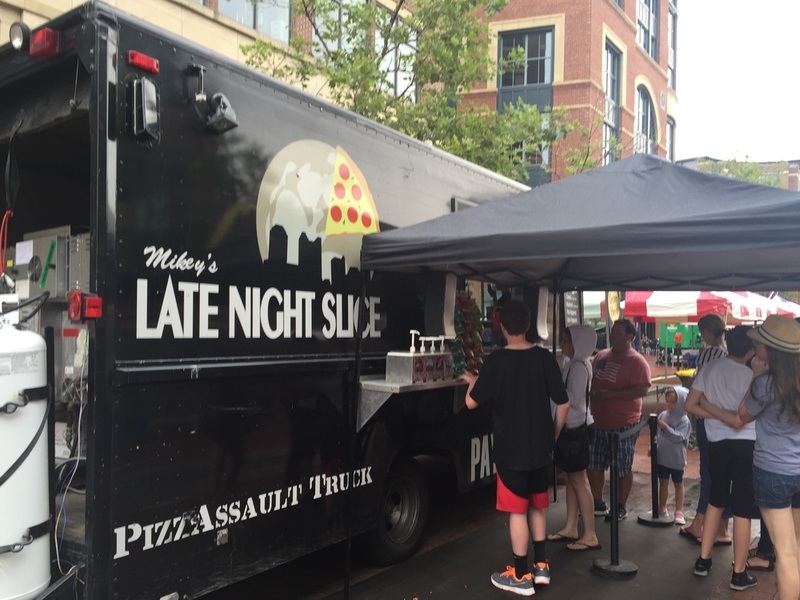 We made it to listen to The Pretty Filth, but due to rain, a blister (thank you Columbus emergency person for the band-aids and alcohol pad) and hunger (thank you Mikey's Late Night Slice), we missed out on 4 Finger Shot (sorry Ty!). Check out each band on facebook and see them performing live around town! This podcast contains a special message from me to Mayor Mike Coleman. Mayor, I have an amazing idea for the riverfront, I believe you will like it. Sincerely, Amy B. Collins. From the Arena District area, we headed south to the John W. Galbreath Bicentennial Park. Along the way, we passed many food vendors, friendly police officers, and people excited for the evening's fireworks. Once we made our way back to Franklinton, we headed in to Land-Grant Brewing Co., on West Town Street. Burke and I have intended to stop in to Land-Grant for a while now, and this was a great opportunity to give them a try! Yes, by now our feet were tired and we were ready for an inside sit-down. Burke ordered a flight of beer, which is always a tasty adventure! As we were enjoying the beer flight, we met Dave and Walt with Land-Grant. Walt gave us a tour along with the history of Land-Grant and the building. Head in at 3pm on Saturdays for a tour! Thank you Walt! 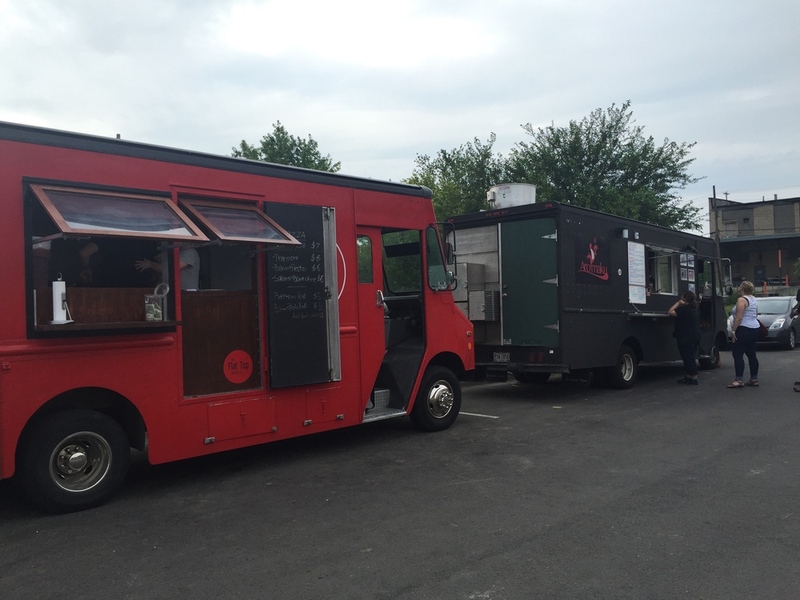 There were two food trucks at Land-Grant, and we got to chat with the folks in Flat Top Pizza Co's. truck. I was drawn to the large container of hand made Cherry vanilla soda pop. Ok, here in Ohio we say pop! They asked we also mention En Place Upscale Street Food food truck! From that point, we had an enjoyable evening watching the fireworks! Saturday, July 4, was the 32nd Annual Doo Dah Parade! We had never been before, so we headed in and parked at a meter, which are free on Independence Day! We walked north on High Street, to the point of where the parade ended. To pass the time, I had a chance to talk to people! Big Surprise, right? There was a gal there with the best hat!, and yep, I chatted with her. If you were there at the end of the parade, you know exactly the hat I am talking about! I just love getting to know all of you! So, the Doo Dah Parade made its way to us, and we were in for a treat! To me, it seems like Comfest in parade form...kind of. So many sights and smiles! I am wondering if the man on the bike with the Bernie Sanders sign was a professor of mine from years ago? Who knows? We learned a lot this year on our first trip to the Doo Dah Parade, and next year we will find a spot towards the beginning of the route. Or, someone out there can adopt C!SN for the day and teach us the way of Doo Dah Parade watching! Saturday evening, we enjoyed the holiday with Burke's family in Westerville and walked the short way to watch the beautiful fireworks from the park! At that point, I was happy with a short walk!